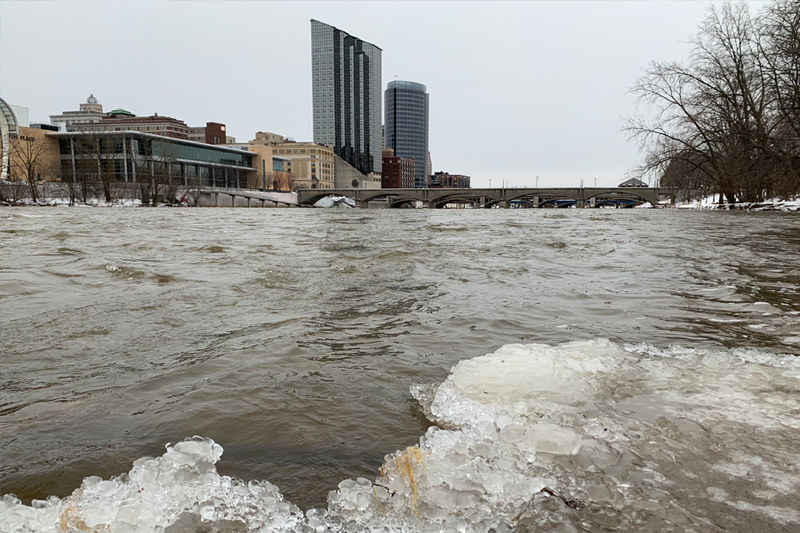 ‘Whitewater Revival’ is an article series sponsored by Chaco to cover the Grand River restoration project taking place near the footwear brand’s Michigan headquarters. You point a kayak downstream, push off from the riverbank, and find yourself in rolling whitewater. It’s 2025, and Michigan’s Grand River is flowing, natural, and alive once again. That’s the vision, at least. But it’s been 150 years since humans dammed and dredged the original rapids of the namesake city. Industrial development took priority. Lumber mills and timber perpetuated livelihoods in the mid-American town. Nature was bulldozed, built over, forgotten, and ignored. With more than $30 million pledged toward the cause, Grand Rapids’ urban riverway is on track for renewal. Soon, the whitewater will be back, cement and rebar removed, the currents flowing free. The town’s namesake Grand Rapids will be back. 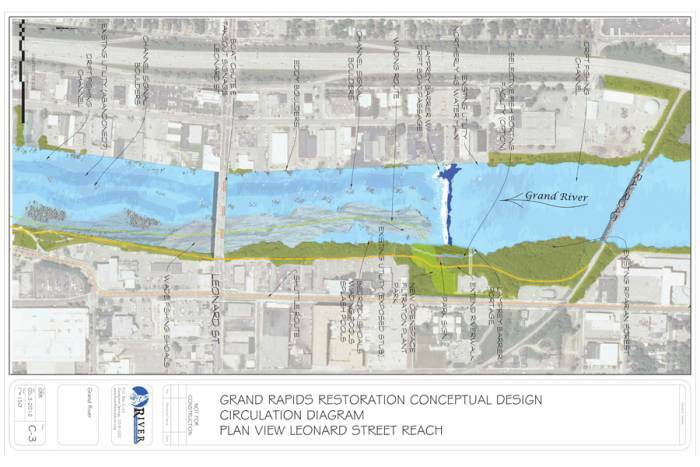 Following a national trend of dam removal and river restoration, the Grand Rapids Whitewater (GRWW) project plans to demolish six diversion dams and one large, old structural dam within the Grand River. From there, the focus shifts to recreation and habitat recovery. At the moment, it doesn’t look like much. But down the line, 2.5 miles of whitewater elements will serve everyone from the first-time kayaker to the whitewater expert, with rapids as swift as class IV built into the design. 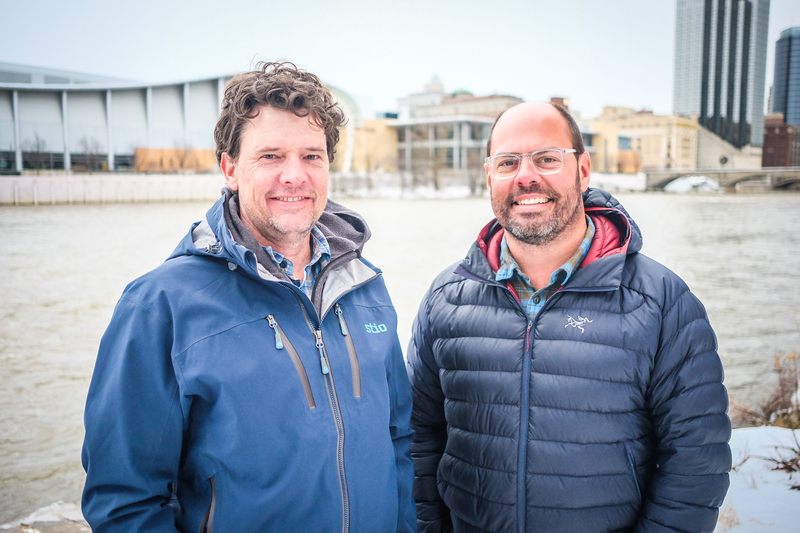 “It will be one of the longest urban whitewater parks in the country when completed,” said Mark Singleton, executive director of American Whitewater. 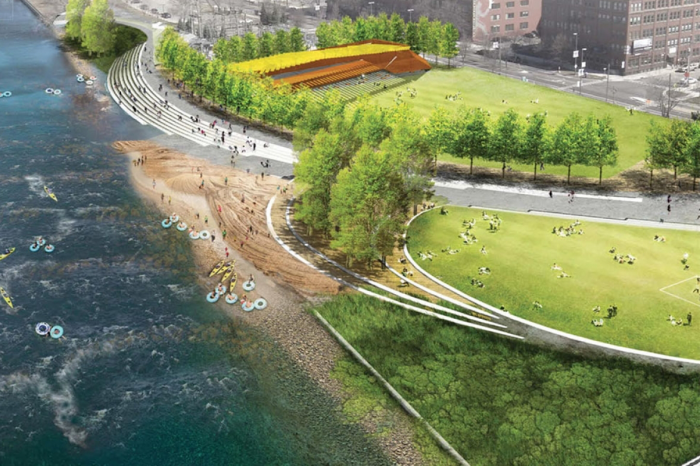 The park will include constructed whitewater elements in addition to the natural rapids, chutes, and eddies that have been underwater since the dams were built in the 1800s. Steve Heacock, CEO and president of GRWW, took over the project in February. He’s a local leader who has pushed responsible development within the larger scale of Kent County, Michigan. And since late 2018, $4.4 million in funds has been promised, which tops $27 million raised since 2010. The goal of $45 million is in sight. And the reality of full-scale urban river restoration is now tangible for the community. The city’s attitude toward recreation in the river is skeptical but changing. There is a stigma that associates the Grand with urban wastewater. Rallying a community that turns a skeptical eye toward the once-industrial river has been a challenge. But Muller and his team persevered. They say it’s key to educate the community about the sediment studies and the cleanliness of a formerly contaminated river. Anglers have long utilized the river, and the project adds a substantial amount of wading opportunities as well as drift boat passages throughout. Swimming areas, stretches of water for tubing, and community beaches tie the river into a recreational space for all. And the economic benefits of nascent outdoor recreation and whitewater tourism are hard to ignore. Organizers expect to inject $18-19 million per year into the city’s economy. And newly created positions — from river guides to kayak instructors and rental shop employees — would create 100 new jobs immediately, Muller estimates. Dozens of businesses and groups in the Grand Rapids area have donated time, money, and services to the cause. Notably, Downtown Grand Rapids and Grand Valley Metro Council have been major partners. Also heavily involved is Founders Brewery, another local company. It started in 2010 when the river project was just getting off the ground. Founders Brewing was a growing beer brand at the time, yet it decided to donate a $25,000 grant to perform an initial survey. This feasibility project was vital to the course of GRWW, Muller said. And at that time, the donation made up 25 percent of the brewery’s yearly marketing budget. The brewery is now a stalwart in the community, and it continues to grow, ranked in the top 10 largest craft breweries in the country. These days, myriad local companies support the project, including Chaco Footwear. 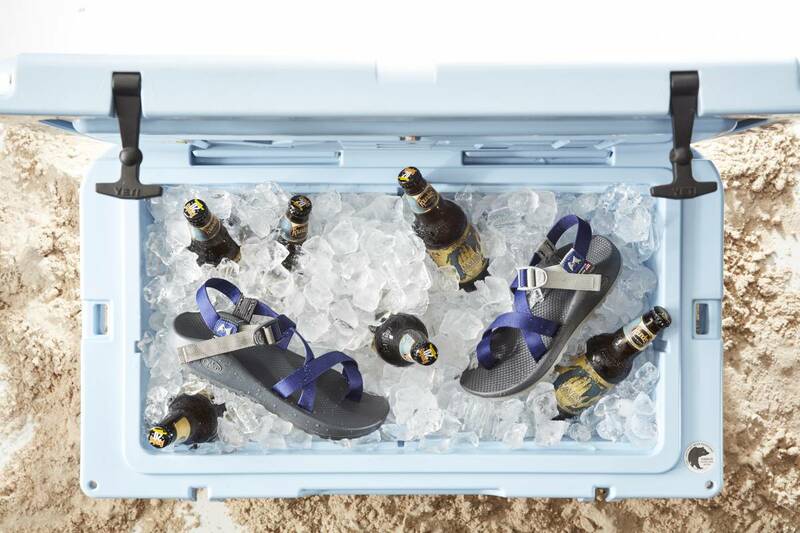 Based in nearby Rockford, the company — known for its roots in paddle sports and river rafting — sold out of the limited-edition Z/2 sandal it designed to support the project. “This project puts the rapids back in Grand Rapids,” Chaco’s creative director Josh Weichhand said. “Not only is it a beacon for outdoor recreation, but it also creates development opportunities, from storefronts to businesses near the river to real estate aimed at young professionals who want to live in a city on the water. Over the past decade, GRWW unraveled a web of benefits that reach far beyond the simple idea of adding more urban recreation to an otherwise quiet river. The removal of six dams and the addition of a state-of-the-art adjustable hydraulic structure will alter the flooding patterns of the Grand for the better. And the AHS will allow for a more controlled flow of water while protecting the Grand against the invasive sea lamprey, a species that has literally suctioned itself into the Great Lakes ecosystem. 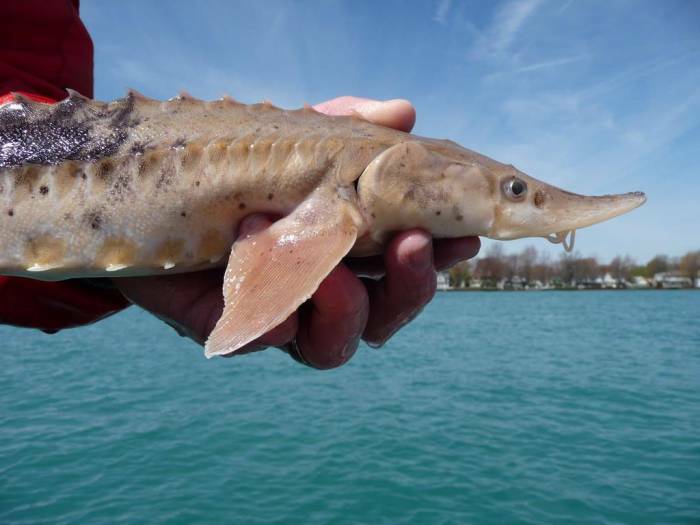 The dam removal and additional structures within the river also create an underwater benefit: more habitat for fish — specifically, Michigan’s 125-million-year-old sturgeon. These prehistoric creatures can live over 100 years and reach 6 feet in length, and the 120 acres of restored habitat will provide new breeding grounds for the fish. Three separate phases of reconstruction and restoration are in motion. And GRWW’s goal of a 2025 completion looks to be attainable. Construction on the first phase begins in the spring of 2021. But the inherent goal is the long-term sustainability of the project. It aims to revitalize the center of a city and turn a community toward an asset that has long awaited its revival. ‘Whitewater Revival’ is an article series sponsored by Chaco. Learn more about Grand Rapids Whitewater and get involved here. 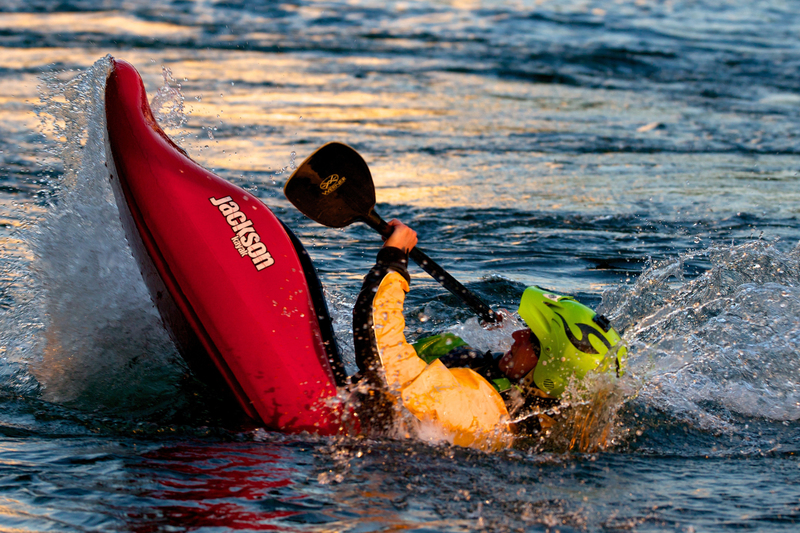 From deep sea to whitewater rivers and lakes, the latest gear, technology, and news in kayaks. next:VelociRaptor: Ford Won’t Give Us the Ranger We Really Want, But Hennessey Will!